The Queen, Super hornets and B105’s Stav. It’s been another great week for Brisbane. There have been several good reasons to skive off work …. 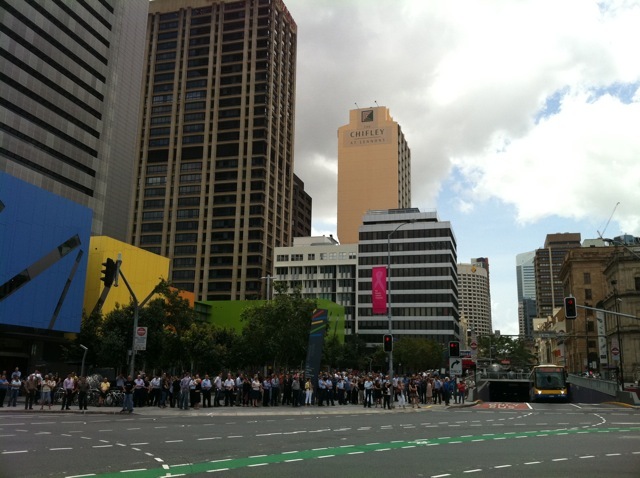 The streets near the Brisbane River, full of people waiting for THE PLANES. First, we took delivery of another four Super hornets. Half the city came out to the river, looking in precisely the wrong direction (down the Brisbane River, ‘cos that’s what happened for River Fire, all right?!) 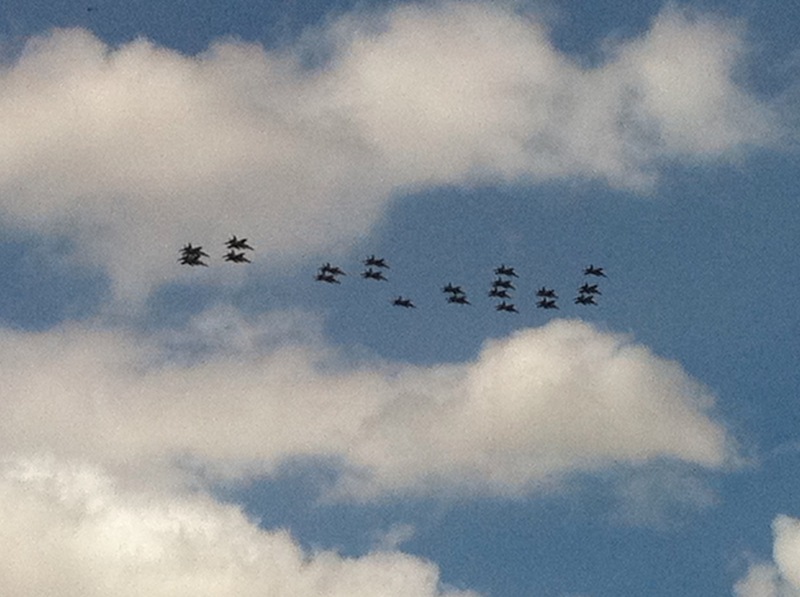 when the cluster of twenty Super hornets whizzed over the city, from behind us. It was a moment of WOW, quickly followed by WAS THAT IT? And, ARE THEY COMING BACK? Sadly, a few thousand people had to go back to work sooner than they had hoped. 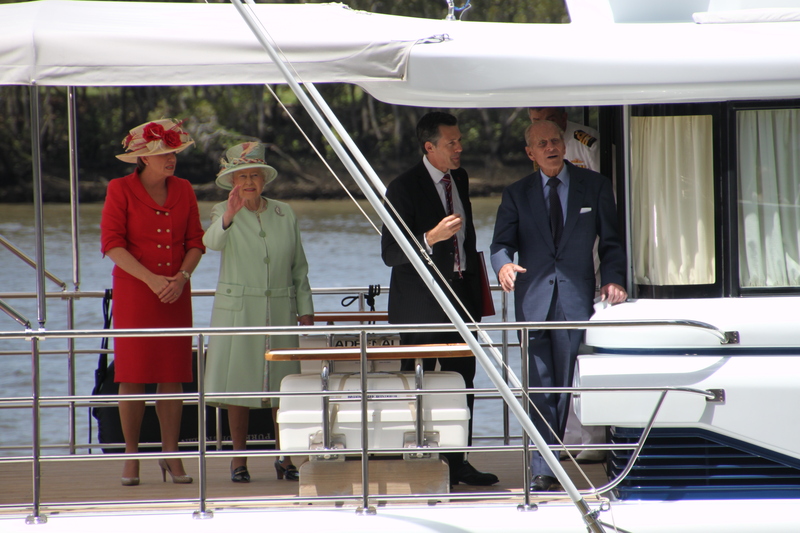 Then, a certain classy lady came to town on Monday 24 October 2011. Photo by Anthony Cox, used with permission. Copyright Anthony Cox, 2011. Today, feeling almost sad that there was nothing big going down in the town, my luck turned. 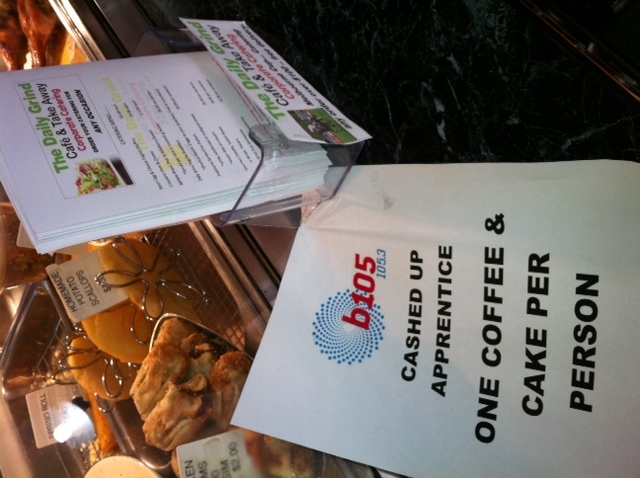 Local FM radio personality, Stav, from B105, came to my local cafe as the coffee-making apprentice. Being in the right place, at the right time, I scored my favourite gluten-free coconut biscuit and lactose-free flat white for free! Sure, we had to shout FASTER STAV! but he managed in the end, and that’s what matters. 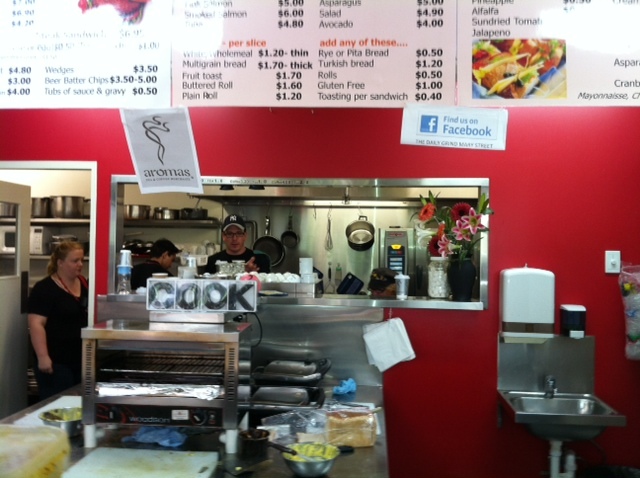 Stav from B105, probably wishing that he was back behind the microphone.